Today's guest,Natalie Aguirre, is one of the endlessly brilliant duo of bloggers over at Literary Rambles, interviewing debut, middle grade, and other authors, and spotlighting their books with ARC or book giveaways every Monday. She is one of the most engaged bloggers I know, and a ceaseless supporter of this blog and countless others. If that isn't enough, she's an aspiring middle grade and YA fantasy writer. She’s an attorney by day, a wife, and the mother of one child. She's joining us today to tell us about what she has learned from reading. Thanks so much for inviting me Martina! I’ve always been a voracious reader since I learned to read. I even read audio books when I walk so I can read more. Since I joined Casey McCormick as her blog partner at Literary Rambles, I’ve been interviewing a lot of authors and reading their books in preparation for their interviews. It’s really become my passion as a blogger to promote books and authors, especially debut and middle grade authors. So I read a lot. Martina asked me to do a post on what I’ve learned from reading. Before I start, I’ll let you know that I tend to race through the books I’m reading, trying to consume them and find out what’s going to happen next. So I don’t analyze the story while I’m reading. I really encourage you to read Martina’s fantastic posts on the craft of writing where she shows what a grasp she has on the craft and what she learns from reading. So here’re some things I’ve learned from my reading. 1. The fifty page rule. Last year my daughter’s 9th grade teacher shared a piece of advice she gives her students. Read to page 50 and if the book doesn’t grab you, stop reading it and start something new. Before I started blogging, I didn’t follow this rule. I usually slogged through the book and at some point I’d like the story. But now I have such a huge stack of books to read. Thankfully, I haven’t had to put down any books I’m featuring on my blog. But there are other books I’ve started that just haven’t grabbed me. And I’ve put the book down because I don’t have time to read a book I don’t enjoy. And it brings to mind how important it is to grab the reader quickly. Kids, especially in middle school and high school, are incredibly busy and don’t have that much time to read. If you can’t grab their attention by the first 50 pages, they probably aren’t going to finish your book. So how do you grab your reader? You must present sympathetic characters we want to learn about, let us know what your story is about, and move the plot along in the first 50 pages. This is only five to seven chapters depending on how long your chapters are. 2. Explore new genres. My favorite genres are fantasy, dystopian, and some paranormal. That’s what I mostly read. I’ve learned from interviewing authors that it’s good to expand my horizons sometimes and read in other genres. For example, I had never read a book in verse until I interviewed Stasia Ward Kehoe about her debut book AUDITION, a contemporary story about a girl following her dream to become a dancer, and Caroline Starr Rose about her debut middle grade novel MAY B, a historical novel about a girl in 1870 Kansas. I’ll share a secret. I don’t like poetry much and was scared before I read Stacia’s book that I wouldn’t be able to finish it. But these books were incredibly fast, enjoyable reads. So now I wouldn’t hesitate to read a book in verse that interests me. Contemporary is another genre I rarely read. And when I pick up a book for an author interview, I always worry I won’t like it. But then I read Jenny Lundquist’s SEEING CINDERELLA, a contemporary novel about middle grade friendships and boyfriend issues with a touch of magical realism in the use of magical glasses. I could so relate to Callie’s experiences in middle school and loved reading how she resolved her problems. Debut author Tracey Bilen’s WHAT SHE LEFT BEHIND was another book that reminded me that contemporary stories are good. This is a YA thriller about an abusive family. Tracey really nailed the voice of Sarah, the main character, who has to deal with her abusive dad and is terribly worried about her mom. And she keeps the tension up so you have to turn the page. I couldn’t put down either of these books and read them both in two days or less. 3. Go back and start the book over if you find you haven’t gotten some of the plot. There’re a lot of new characters, setting, and plot to learn about when you start a book. Sometimes when I start a book at night (when I usually read) and I’m tired (sadly often), I miss a bit when I start a book. If I find I can’t remember things as I’m moving through the first 50 pages, I’ve been making myself go back and start the book again. I find I enjoy the story more and get all the important details. 4. Learn about the craft of writing from your reading. If you’re having problems with some aspect of your manuscript, read one of your favorite authors in the genre you’re writing in and it’ll probably help you figure out what your problem is. Whenever I’m struggling with something, like character development, how to show internal thoughts, description, etc., I’ll look for how the authors I’m reading handle the problem. It always helps me figure out what I need to do. And so many published authors do it masterfully. Here are some of my favorite books I’ve read this year and something I think the author did well. In THE FALSE PRINCE, Jennifer Nielson does an incredible job nailing the voice of Sage, a totally self-assured guy who’s resourceful, sarcastic, funny, and never afraid to speak his mind or to not cooperate in the plot to put a false prince on the throne. I’m in love with this book. It’s fantastic! And in UNDER THE NEVER SKY, Veronica Rossi develops such a fascinating dystopian world where Aria, who had lived mostly in a virtual world, has to cope with living in Perry's Outsider world that has no technology. And watching how their relationship developed, definitely antagonistic at the start, felt like a natural progression, which I loved. In UNRAVELLING, Elizabeth Norris is the master of twisting a plot. It starts out as a mystery where Janelle tries to solve the mystery of why someone would try to hit her with their car, how Ben brought her back to life, and then the mystery of a death of someone close to her. But suddenly the plot completely twists and you see the story is about so much more. All I could say when I read it was WOW! And in SHADOW AND BONE, Leigh Bardugo does a fantastic job with the world building, drawing from Tsarist Russia in the early 1800’s, in creating the court and the Grisha, the magical elite world, that Alina is whisked into. In WHAT’S LEFT OF ME, Kat Zhang creates an intriguing world where two souls share a body until one disappears before the teen years. Only fifteen-year old Eva doesn’t disappear. It’s fascinating watching her try to survive and be able to use their body to be herself. Since she’s the recessive soul, Kat must mostly show her through her thoughts and dialogue. And in SURRENDER (Possession #2), Elana Johnson introduces us to Raine, incredibly smart and brave in defying her father, and Gunner, such a nice, dependable guy you can’t help falling in love with, and takes us more into the everyday life of Freedom. Then she weaves it all back into Vi and Jag’s story. It’s a brilliant second book in a series. Finally in THE CROWN OF EMBERS (book #2), Rae Carson takes the story in a new direction as Elisa, who is still insecure and slightly overweight, struggles in her new role as queen in a country she’s never lived in. And Rae does a fantastic job showing us a beautiful, naturally developing relationship between Elisa and Hector, her guard. I’m doing a giveaway of my ARC right now, so stop by my blog if you want to enter the contest. I could go n and on because I’ve read so many fabulous books. But I’ll stop here. So what great books have you read and what have you learned from them? Natalie Aguirre is an attorney by day and an aspiring MG and YA fantasy author. 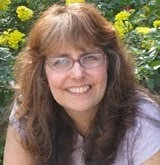 She blogs at Literary Rambles (http://literaryrambles.com) on Mondays and some Wednesdays where she interviews authors and discusses books, almost always with a book giveaway. Checking to see how a favorite author did something has helped out so many times. You wonder how to describe someone's room without making a list, and then pull out some books and see the craft behind what read so effortlessly. Like how little they wrote, even though you could see the whole room, and how the details reflect the character. Thanks so much Martina for having me here. And I so agree with you Marcy that checking on what a favorite author did can be so helpful to getting our writing right. Thank YOU so much for doing this post. I always look forward to your interviews and reviews, so you were my goto for this post. And I can't think of anyone in the blogosphere who does more to support authors. Thank you for all you do! You listed some great book here, Natalie! I've learned more from reading than from any other thing in my life. What a great post this is! You've reminded me of some of the great books I've read and introduced me to a few new ones! I learn so much from reading books - even though I don't take a lot of time to analyze them on a first reading. If a book is really good, e.g. The False Prince, I'll re-read it and think about what made it so effective. This is a great list of books - you've added a few to my list to read! 50 pages is a good rule, but more specifically there's a 1 page rule. If I'm in a bookstore, trying to decide which book to buy, one page will usually tell me whether I'm hooked. Thanks for this super post, Natalie. I love the 50 page rule. I hope my book adheres to it. I agree that children nowadays have too many issues vying for their attention. In this case the 50 page rule would really apply well. Its a good reminder to all of us to grab the reader's attention fast. I agree, Natalie, there is so much that can be learned in the reading of books. Agents have always said to read, read, read. So you've provided additional points for the WHY behind it. Thank you. Wow, Natalie, what a thoughtful post. I love how you analyzed all these books and take away something new and different from each of them. I'm sure all of this reading is helping your own writing, too. Thanks for the shout out, Natalie! I also am in love with The False Prince. Definitely one of my faves this year! This was such a helpful post, Nat. I find that I have so much going on, reading always seems to come last. I need to make room for it more--gosh, you have so much going on, I don't know how you do it! I never used to reach outside my genre either, but now I am much more likely too, especially after hitting some fabulous ones like Beth Revis' Across The Universe. Like you, I don't analyze as I read either...I just get sucked in. But that said, if the book is not well crafted, I notice. Once I'm pulled out by something, it's hard to get back in...that's the writer in me, I guess, because of course I'm always looking at my own flaws and how to strengthen my writing. Great post! I'm off to read something new! So glad you all enjoyed my post. Thanks so much for stopping by and commenting. This is one of my weakest points right now, I never make as much time to read as needed. I like your 50 page tip. Also, I can relate to needing to start a book over. One thing I also do (which is probably very odd) is that I bookmark pages as I am reading that really struck me a s memorable or extremely vital information to the story. Then as I read further on I refer to my bookmarked pages. I also like to write a small personal review picking out what I think were the strongest elements of the book, and doing this has been really improving my writing. Great to see you interviewed here, Natalie. You do so much for this community -- it's amazing how many hats you wear. Thanks for sharing! Great post, Natalie. It still amazes me how many books you read, and how awesome your interviews are because you take the time to the books. Thanks so much for all your kind comments. At the end of a long day, it's made my day. And glad you like the 50 page tip. Wasn't this a fantastic post? Natalie, I LOVE the examples you gave and how you broke things down. I confess that I've had to cut the 50 page rule down even further, although I will often go back and reread the initial pages before I quit just to make sure that I am giving a book a fair chance, and also because that gives me the chance to figure out why something isn't working for me. I often learn as much from a book that doesn't quite work as I do from a brilliant book. Thanks again for being here on the blog with us, Natalie! You are such a gift to the online writing community. I liked hearing about why you liked these books so much. Also, I do the 50 page rule with my kids! HI NATATLIE!!!!!! This was GREAT--2,3 and 4 were spot on! I'm on a contemporary kick lately (never had been before) and I like going back and re-reading pages (but it's hard on an e-reader I've found, and prefer to hold a book for that). oops, sorry for the extra T in your name, N!!! Hi Natalie!! :) Like you, I race through books - I rarely stop to study while I'm reading. But I love looking back to see how the author pulled me in so well! I love how specific you went into each part. Those are all amazing books and great examples. Thank you! Thanks Christina, Jemi, Jessie and Christina for stopping by. Glad you enjoyed my post. This was super informative. After reading it I immediately opened my MS and scanned the first 25 pages (50 or so to a reader) to see just what I had to offer. I was so relieved that I'd managed to capture the catalyst as well as intros to all of the main characters (especially the protags love interest and the books bug baddie). Keep it up Natalie! Love your post. Great post, Natalie. I'll admit I don't read as much as I'd like because I feel like I can't take time but you've lead by example here and shown how it can be done!